A call for artwork has been issued to replace the racist carousel artwork. 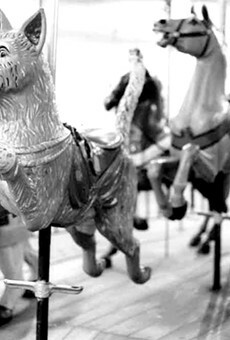 A call for artist proposals was announced today to replace the panel featuring racist artwork that was removed from Ontario Beach Park’s Dentzel Carousel in 2016. That panel, which depicted a “pickaninny” caricature, came under community criticism after being on display for more than a century. The Take It Down Planning Committee formed and worked with the City of Rochester and Rochester Museum and Science Center to create the “Take It Down! 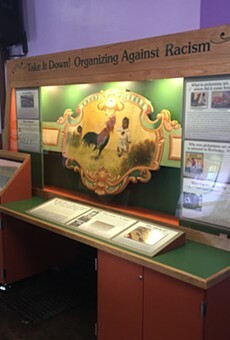 Organizing Against Racism” exhibit, which included programming meant to promote dialogue about individual, institutional, and structural racism and was displayed in different locations around the city. 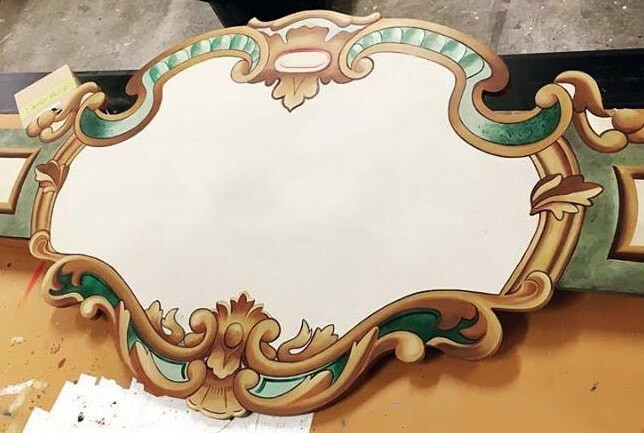 Finalists will be selected by Wednesday, May 18, and people are invited to vote on the finalists for the winning panel design at an open meeting on Thursday, May 19, at Central Church of Christ (101 S Plymouth Avenue). Museum representatives say that the winning artist will be compensated a $2,000 commission. More information is available at rmsc.org.